His paper titled “Intelligent 5G: When Cellular Networks Meet Artificial Intelligence” was accepted and to appear in IEEE Wireless Communications. A study result of stochastic geometry analysis with ALPHA-stable similarity has been accepted by IEEE Trans. Commun. while a proposal for the modified LSTM structure with reduced computational complexity has been accepted by IEEE Commun. Mag. 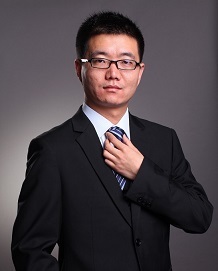 He has been with Zhejiang University as an assistant professor since November 2018. Another FOUR articles have been accepted for publications in IEEE Access, IEEE Communications Letters, or IET Communications since Jun. 2017. A coauthored paper titled “Full Duplex Delay Diversity Relay Transmission Using Bit-Interleaved Coded OFDM” was accepted and to appear in IEEE Transactions on Communications. His paper titled “The Learning and Prediction of Application-level Trafﬁc Data in Cellular Networks” was accepted and to appear in IEEE Transactions on Wireless Communications. A coauthored paper “Not Call Me Cellular Any More: The Emergence of Scaling Law, Fractal Patterns and Small-World in Wireless Networks” was accepted and to appear in IEEE Access. A coauthored paper “Results on Energy- and Spectral- Efficiency Tradeoff in Cellular Networks with Full-Duplex Enabled Base Stations” was accepted and to appear in IEEE Transactions on Wireless Communications. His paper titled as “Full-Duplex Cellular Networks” was accepted and to appear in IEEE Communications Magazine. He received the grant “National Postdoctoral Program for Innovative Talents”, which has an awarding ratio of 13% in 2016.